There are different ways to make Salmon, this is another recipe to make Salmon and have more protein in your diet. Take another non stick skillet, add ½ tsp of oil. Add chopped bell peppers. Now let them cook 5-10 minutes till they turn little pink brown on low heat. Now add ¼ cup of water and let it cook for 5 minutes. After they are cooked keep them aside and add salt and pepper to taste. Now add hot sauce and vinegar to them and stir it so that each bell pepper is coated with Sauce. 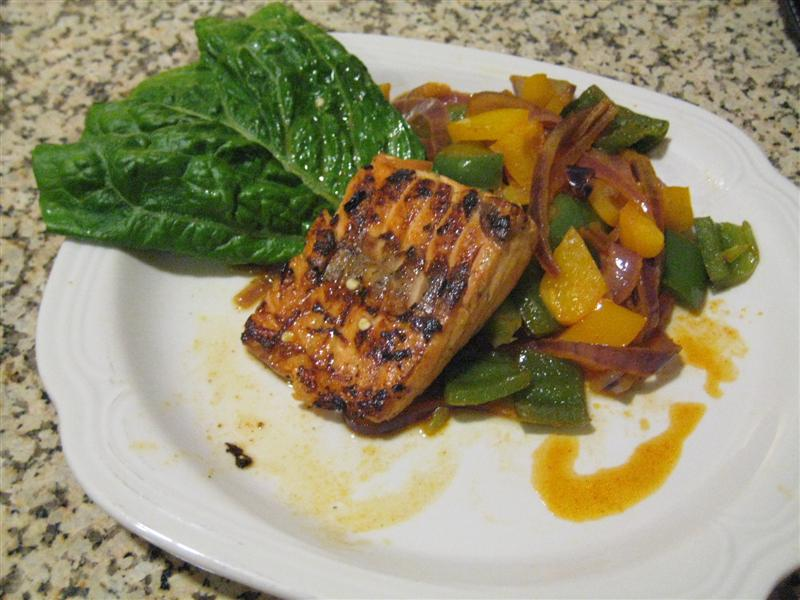 Serve with Grilled Salmon on hot and sour bell peppers bed and garnish with the sauce.